PCH Plumbing and Heating Service London offer plumbing and heating service in London at competitive fixed rate with a friendly, reliable and professional service. 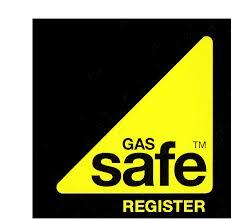 With over 20 years experience fully trained and highly qualified plumbing and Gas Safe Engineers you can be sure you will receive top quality service and to the highest standard. Power Flushing and Heating Protection. 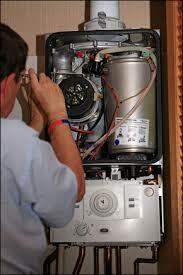 We are trained accredited Baxi Vaillant and Worcester Boiler installation & repair specialists. Plumbing problem, including water drips and gas leaks can happen any time and can cause damage which could be quite sever or even dangerous to your property if it is not dealt with quickly. PCH Plumbing and heating service London provide you with a 24hr, fast response emergency plumbing and heating service London. We aim to be with you within 30 minutes to tackle any emergency plumbing problem, from a leaking pipe to a complete boiler breakdown. We diagnose the problem, make the area safe and carry out all the required repair work to the highest standard and as quickly as possible. plumbing and heating service London Camden Town NW1, plumbing and heating service London Cricklewood NW2, plumbing and heating service London Hampstead NW3, plumbing and heating service London Hendon NW4, plumbing and heating service London Kentish Town NW5, plumbing and heating service London Kilburn NW6, plumbingand heating service London Mill Hill NW7, plumbing and heating service London St John’s Wood NW8, plumbing and heating service London The Hyde NW9, plumbing and heating service London Willesden NW10, plumbing and heating service London Golders Green NW11. plumbing and heating service London West End W1, plumbing and heating service London Paddington W2, plumbing and heating service London Acton W3, plumbing and heating service London Chiswick W4, plumbing and heating service London Ealing W5, plumbing and heating service London Hammersmith W6, plumbing and heating service London Hanwell W7, plumbing and heating service London Kensington W8, plumbing and heating service London Maida Vale W9, plumbing and heating service London North Kensington W10, plumbing and heating service London Notting Hill W11, plumbing and heating service London Shepherd’s Bush W12, plumbing and heating service London West Ealing W13, plumbing and heating service London West Kensington W14. plumbing and heating service London South West SW1, plumbing and heating service London Brixton SW2, plumbing and heating service London Chelsea SW3, plumbing and heating service London Clapham SW4, plumbing and heating service London Earls Court SW5, plumbing and heating service London Fulham SW6, plumbing and heating service London South Kensington SW7, plumbing and heating service London South Lambeth SW8, plumbing and heating service London Stockwell SW9, plumbing and heating service London West Brompton SW10, plumbing and heating service London Battersea SW11, plumbing and heating service London Balham SW12, plumbing and heating service London Barnes SW13, plumbing and heating service London Mortlake SW14, plumbing and heating service London Putney SW15, plumbing and heating service London Streatham SW16, plumbing and heating service London Tooting SW17, plumbing and heating service London Wandsworth SW18, plumbing and heating service London Wimbledon SW19, plumbing and heating service London West Wimbledon SW20. plumbing and heating service London Southwark & Bermondsey SE1, plumbing and heating service London Abbey Wood SE2, plumbing and heating service London Blackheath SE3, plumbing and heating service London Brockley SE4, plumbing and heating service London Camberwell SE5, plumbing and heating service London Catford SE6, plumbing and heating service London Charlton SE7, plumbing and heating service London Deptford SE8, plumbing and heating service London Eltham SE9, plumbing and heating service London Greenwich SE10, plumbing and heating service London Kennington SE11, plumbing and heating service London Lee SE12, plumbing and heating service London Lewisham SE13, plumbing and heating service London New Cross SE14, plumbing and heating service London Peckham SE15, plumbing and heating service London Rotherhithe SE16, plumbing and heating service London Walworth SE17, plumbing and heating service London Woolwich SE18, plumbing and heating service London Norwood SE19, plumbing and heating service London Anerley SE20, plumbing and heating service London Dulwich SE21, plumbing and heating service London East Dulwich SE22, plumbing and heating service London Forest Hill SE23, plumbing and heating service London Herne Hill SE24, plumbing and heating service London South Norwood SE25, plumbing and heating service London Sydenham SE26, plumbing and heating service London West Norwood SE27, plumbing and heating service London Thamesmead SE28. plumbing and heating service London Aldgate E1, plumbing and heating service London Bethnal Green E2, plumbing and heating service London Bow & Old Ford E3, plumbing and heating service London Chingford E4, plumbing and heating service London Clapton E5, plumbing and heating service London East Ham E6, plumbing and heating service London Forest Gate E7, plumbing and heating service London Hackney E8, plumbing and heating service London Homerton E9, plumbing and heating service London Leyton E10, plumbing and heating service London Leytonstone E11, plumbing and heating service London Manor Park E12, plumbing and heating service London Plaistow E13, plumbing and heating service London Poplar E14, plumbing and heating service London Stratford E15, plumbing and heating service London North Woolwich & Victoria Docks E16, plumbing and heating service London Walthamstow E17, plumbing and heating service London South Woodford E18. plumbing and heating service London Islington N1, plumbing and heating service London East Finchley N2, plumbing and heating service London Finchley N3, plumbing and heating service London Finsbury Park N4, plumbing and heating service London Highbury N5, plumbing and heating service London Highgate N6, plumbing and heating service London Holloway N7, plumbing and heating service London Hornsey N8, plumbing and heating service London Lower Edmonton N9, plumbing and heating service London Muswell Hill N10, plumbing and heating service London New Southgate N11, plumbing and heating service London North Finchley N12, plumbing and heating service London Palmers Green N13, plumbing and heating service London Southgate N14, plumbing and heating service London South Tottenham N15, plumbing and heating service London Stoke Newington N16, plumbing and heating service London Tottenham N17, plumbing and heating service London Upper Edmonton N18, plumbing and heating service London Upper Holloway N19, plumbing and heating service London Whetstone N20, plumbing and heating service London Winchmore Hill N21, plumbing and heating service London Wood Green N22.